Voting for finalists closes on Friday, April 19. 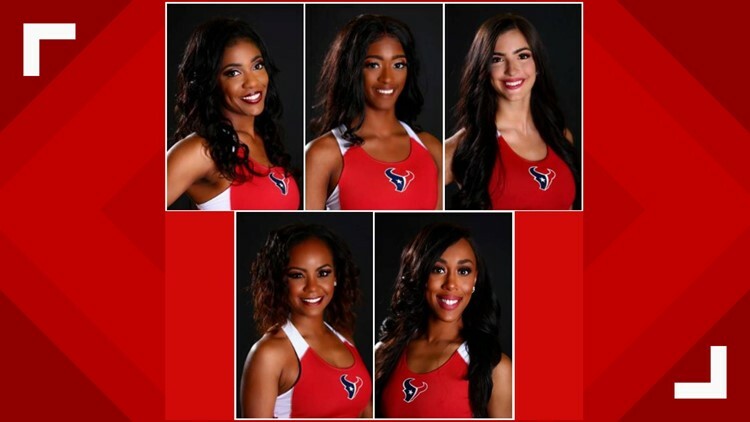 BEAUMONT, Texas — Five Southeast Texas women have advanced to be in the top 60 finalists for the Houston Texan Cheerleaders team 2019. Phoebe Hernandez of Groves and Mikaela Odom, Lauren Wiltz and Jasmine Thomas of Beaumont and Jennifer DeBlanc of Port Arthur have been announced as 4 of the 60 finalists. You can vote for your favorites to make the 2019 team. The four Southeast Texans finalists remain after three rounds of tryouts. The finalists will find out who made the 2019 team next weekend. Voting closes on Friday, April 19.